Now you would surely say that Orkut already have such a feature available officially. But let me clear this point, this feature is made available by Orkut with some charges, but using this trick you can enjoy free scrap alerts on your mobile without even wasting a penny. Unlike the previous case.. This service works with the help of Google SMS channels and Orkutfeeds. 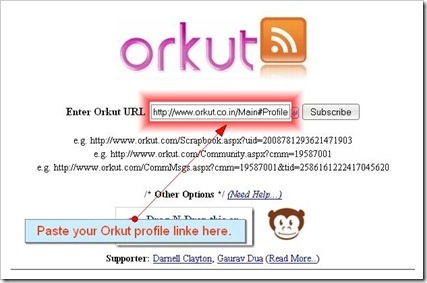 First of all you have to get the feed url of your Orkut profile by using orkutfeeds.com. 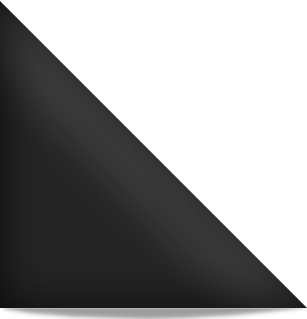 For this, just open your Orkut profile and copy the home page link (In my case it is http://www.orkut.co.in/Main#Profile.aspx?uid=17131020411019753927). After this, just hit the subscribe button and you’ll be provided with your Orkut profile feed url (In my case, it is http://www.orkutfeeds.com/feed.php?url=http%3A%2F%2Fwww.orkut.co.in%2FProfile.aspx%3Fuid%3D17131020411019753927). Also add “#both” at the end of the above URL so that you can get messages of the scrap as well. Now go to Google SMS channels homepage and create a new channel as shown in the screen shot below. 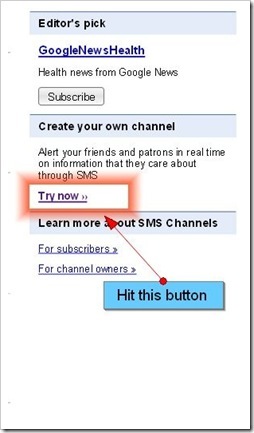 If you don’t have an account on SMS channels then create one by logging in with your Gmail password. 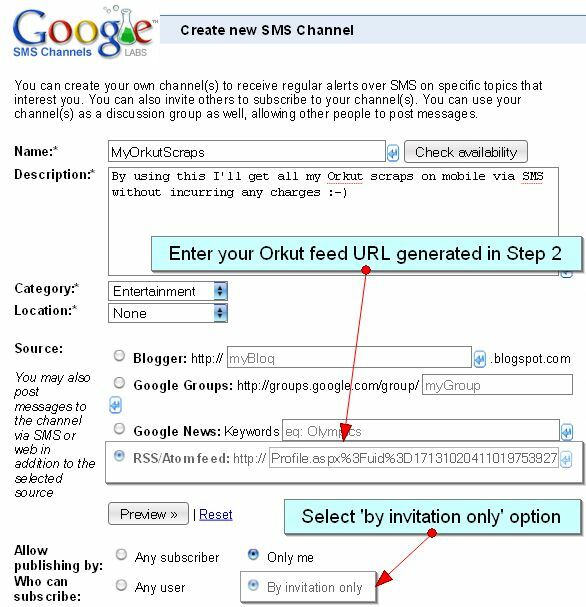 Fill all the required details and feed URL of your Orkut page (refer step 2) on the ‘RSS/Atom feed’ form and finally hit the ‘create channel’ button. For this trick to work on locked scrapbooks, you must add this Orkutfeeds bot as your friend. Scrap notification are delayed for 2-4 hours depending on the Google’s server traffic. Unlike the trick discovered previously, only the sender name of a scrap will be notified.